It was a frustrating day for the British track team as one by one medals slipped out of their grasp throughout the fourth day of competition in Cali, Colombia. Jess Varnish looked most likely to deliver in the women’s sprint but having knocked her team mate and defending champion Becky James out the day before, couldn’t get the better of the Chinese riders she met in the semi and then bronze medal finals today. Germany’s Kristina Vogel won the sprint, making it three golds from three events for the German sprinters. There was to be no medal for Britain’s male sprinters either. The event concludes tomorrow but Jason Kenny, the champion in 2011, won’t be involved after he was knocked out by the flying Frenchman François Pervis in the quarter finals. Kenny won the 5-8th place final but his exit meant that Britain’s male sprinters will return from Cali without a single medal from any of the four disciplines. Ed Clancy finished fourth in a fiercely contested men’s omnium even after winning three of the rounds. The 2010 world champion won yesterday’s flying lap, then the scratch race and kilometre tt today. Despite this he still missed out on a medal after a below par pursuit and 13th in the points race yesterday. 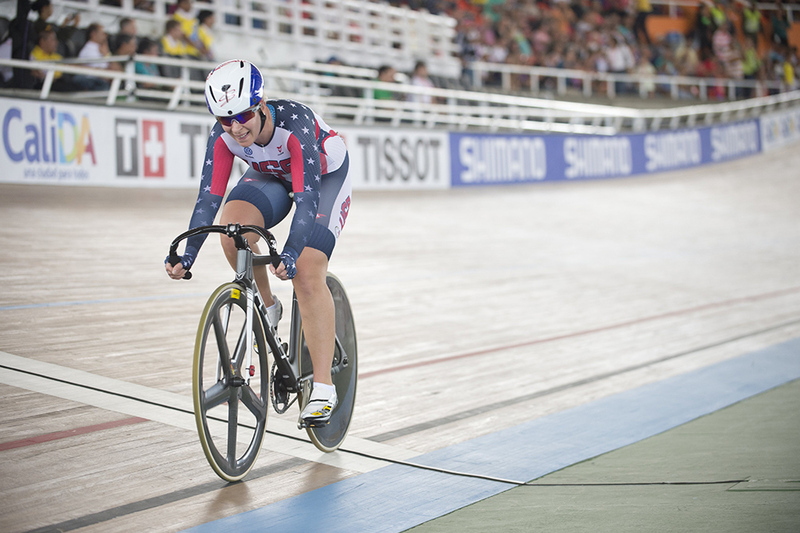 Laura Trott ended the first day of competition in the omnium trailing America’s Sarah Hammer by six points. Trott rode a brilliant points race – her least favourite of the six – to finish third, but surprisingly didn’t win the elimination race. Hammer looks good for the gold with a second and two first places today, leaving Trott, Annette Edmondson (AUS) and Belgian Jolien D’Hoore to battle it out for silver and bronze. Australia won gold in the women’s points race with Amy Cure as Britain’s Katie Archibald finished fourth. This was however only her third international standard points race; “I think you’d be nuts to go into a race and to not want to win. I wake up and I want to win.” Archibald said afterwards.